We’d love your help. Let us know what’s wrong with this preview of The River's Edge by Tina Sears. To ask other readers questions about The River's Edge, please sign up. While the beginning of the novel introduces young adult readers to a time they may not know, Sears has painted such a realistic picture of summer in the 70s tha Tina Sears' debut novel, The River's Edge, is the kind of novel that will bring readers to the edge of something real. Following the protagonist, Chris Morgan, during the summer of 1976, this novel is at times bright with the beauty of first love, friendship, and family, while maintaining a sense of secretive danger. which is compelling. This book swept me away in its pages, in the current, and pulled the tears out of me from my toes. Not a light read, and at times triggering, but a powerful story full of beauty and fierceness, honesty, and raw, unfiltered truth. It will grab you. It may pull you under. Powerful read. "But I liked Reds. And he This book swept me away in its pages, in the current, and pulled the tears out of me from my toes. Not a light read, and at times triggering, but a powerful story full of beauty and fierceness, honesty, and raw, unfiltered truth. It will grab you. It may pull you under. Powerful read. "But I liked Reds. And he was gentle. And I liked his kiss. He reached for me, but not in the urgent way of Uncle Butch. He took my hand into his own, interlocking them like a puzzle piece. It was as if he was trying to put me back together again." Sears book The River's Edge made me both feel such sadness about a world where children are hurt but also such a belief in the strength of the human spirit. Chris Morgan's mother drops her off in the summer of 1976 at her Aunt and Uncle's house at the lake for the summer while her parents are going through a divorce. At first, she's excited to spend time with her cousin and new friends but then when her Uncle drinks he becomes another person. As the summer continues what has seemed like a fun su Sears book The River's Edge made me both feel such sadness about a world where children are hurt but also such a belief in the strength of the human spirit. Chris Morgan's mother drops her off in the summer of 1976 at her Aunt and Uncle's house at the lake for the summer while her parents are going through a divorce. At first, she's excited to spend time with her cousin and new friends but then when her Uncle drinks he becomes another person. As the summer continues what has seemed like a fun summer vacation takes a dark turn. Chris needs to learn how to trust and stand up for herself as she struggles to become the woman that she was meant to be. This book is full of tough topics told with clarity and feeling. It's one of those books that will hopefully help those going through similar issues (such as divorce and abuse) to know they're not alone. 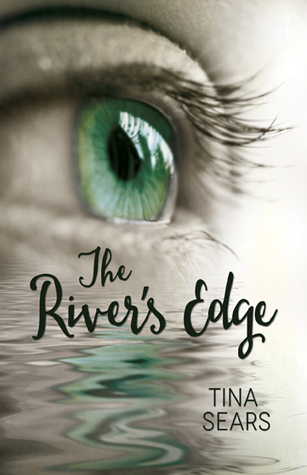 'The River's Edge' by Tina Sears is a hauntingly telling read, with powerful descriptions. Sears' debut novel packs a punch and engages readers with real-life issues that many teens, and even many adults, face. A definite title to add to any contemporary young adult fan's reading list. I could not put this down! Sears has proven herself a master storyteller with this first novel. A haunting story, with beautiful descriptions and lyrical prose. I cannot wait for another book by Ms. Sears! The rivers edge is so interesting! I can't put it down and when I do I can't wait to pick it back up! The tell-tell sign of a good fiction book is when you feel submersed inside the main character. You feel what he/she feels and have the same hopes. Tina Sears pulls the reader in by using detailed descriptions and an unusual weaving of metaphors, which makes for very interesting reading. This story brings back the exciting memories of discovery, trial and error and summer love. Although it takes place in the 1970’s, a teen or an adult can identify with the emotions portrayed in it. Unfortunately, The tell-tell sign of a good fiction book is when you feel submersed inside the main character. You feel what he/she feels and have the same hopes. Tina Sears pulls the reader in by using detailed descriptions and an unusual weaving of metaphors, which makes for very interesting reading. This story brings back the exciting memories of discovery, trial and error and summer love. Although it takes place in the 1970’s, a teen or an adult can identify with the emotions portrayed in it. Unfortunately, many young women have their innocence taken from them at an age that is not of their choosing. Inappropriate sexual contact is much more prevalent than most would even realize. River’s Edge brings this secret topic to the forefront and exposes the truth in a way that will grab your attention and get you yearning for answers. It also is a good resource for those with similar experiences to make them realize they are not alone and to help them move forward. For this reason, this book is an excellent read for teenage girls or their mothers. River’s Edge can be read very easily over a few days because the suspense won’t let you put it down.